It is VERY VERY important to us that the clients we work with daily leave having had a great experience working with us and have accomplished their original goal they had in mind when contacting us. Ultimately, we will not be happy if your not happy and we are unable to provide you with the win-win solution you want. Look at what others have said about us. Here’s just a few short testimonials of recent clients we successfully helped with selling their house fast. If you want to share your own experience on how it was working with us feel free to Send us a note to let us know how working with the Metroplex Invest team has been like for you. We went through Connor to sell our house we did a bunch of research and looked at a bunch of different companies and had them give us quotes and estimates and Connor was by far the best price and we closed in about 7 or 10 days everything was great he is very easy to work with and I highly recommend him. Just another successful closing with a great family from our community. We work hard to make sure that everyone we work with is happy and satisfied with our process. 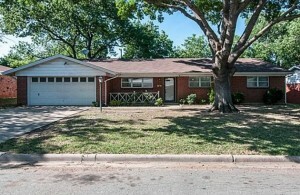 We helped this Mansfield family sell their house for Top Dollar and closed on the date of their choosing. If you want to know how we can help you too call us today at 469-209-5350…. Another satisfied family getting a top dollar price and a fair offer and closing on the day of their choosing. We have built a reputation of closing fast, making fair offers, charging no fees or commissions, buying the houses AS-IS, and we even will pay all of your closing costs for you. We would love to see if we could help!!! You always kept in very close contact and kept me informed, while processing all the background work. The timing really turned out better than I could have planned. So I’m very pleased about it. Thanks for being so professional. You’re an asset to the job. Thanks to the entire team. Really seem to be great people to work with. Connor has been amazing to work with! He has been in constant contact with us to help us sell my father-in-laws house. Even when it got really complicated (at least from my point of view) because my mother-in-law passed over 20 years ago and was still on the title, Connor walked us through the process and kept us informed so that we did not stress about the situation. He was a joy to work with and we would work with him again anytime! Enjoyed the opportunity to work with you on the sale of the property. Everything went as you said it would at the beginning. I would recommend you to anyone and can say only positive things about you in the real estate deal.